Many of you may remember our old colleague Ruben Miranda (he of Comic Guys videos infamy). He’s a fine fellow. Unfortunately one of Ruben’s closest family members, his godson/nephew Manny, tragically passed away in a car accident this past weekend. Ruben spoke of him often and with love. It’s incredibly difficult for me to imagine what he and his family are going through right now. Of course, this came as a surprise to people not prepared for such a young death in the family and, as such, they’ve posted a GoFundMe campaign to help with his funeral expenses. I humbly implore you, especially those customers in the FP community whom Ruben introduced to the wonders of his favorite comics and graphic novels, to donate even a couple of bucks if you can. 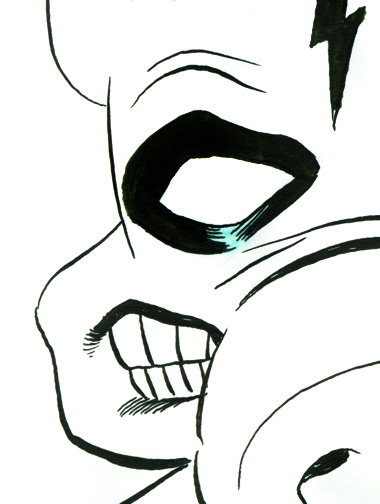 Only two days till a new Madman single issue! Make sure to get here on Wednesday and pick up a copy of the Madman All-New Giant-Size Super Ginchy Special! 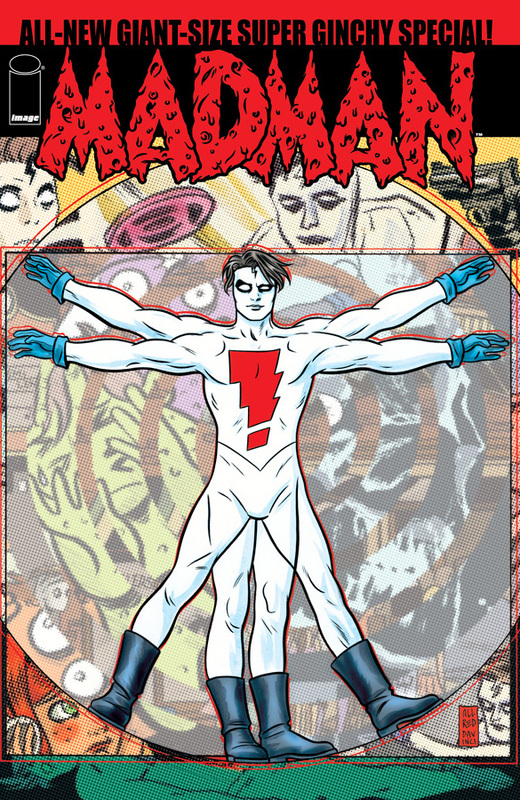 You don’t know how happy I am that there is a new issue of Mike Allred’s Madman hitting shelves this week. I love Mike Allred! Hell I love all the Allreds. I’m also excited to see Matt Kindt’s take on Madman which will be featured in this issue. I dug Kindt’s recent Sweet Tooth story, and Comic Guy Ruben Miranda has been talking about his graphic novel Revolver a lot lately. Since we are on the subject of Ruben and Madman, check this out! Cerebus + Madman = Something Ruben and Matt can both agree on. New York Comic Book Marketplace! Right now as you read this Mike Carbo’s New York Comic Book Marketplace is going on. Make sure to stop by the Katz Comics booth and say hi to Forbidden Planet Transmissions Comic Guy Ruben Miranda. Two video interviews with our colleague Ruben (sans Josh Weisbrod, with whom he regularly appears on the store’s YouTube channel.) We’ve got some very enthusiastic staff. A handful of new videos have been recently added to FP Transmissions, Forbidden Planet NYC’s video page, covering a broad range of our wares. They’re worth a gander when you get the opportunity. SEE Lindsay Johnson discussing Manga in cat ears once again! MARVEL at the unabashed geekery of Josh Weisbrod and Ruben Miranda as they spotlight Booster Gold and the revival of the 80s Justice League in Generations Lost! …and more!!! New vids are being posted more often, so definitely subscribe to the channel and/or add us to your friends list.